Situated at the foot of Tianshou Mountains of Changping District, Beijing, the Ming Tombs is the cemetery of the 13 emperors of the Ming Dynasty (1368-1644). Covering an area of 80 square kilometers, it is about 50 kilometers away from Beijing city proper. 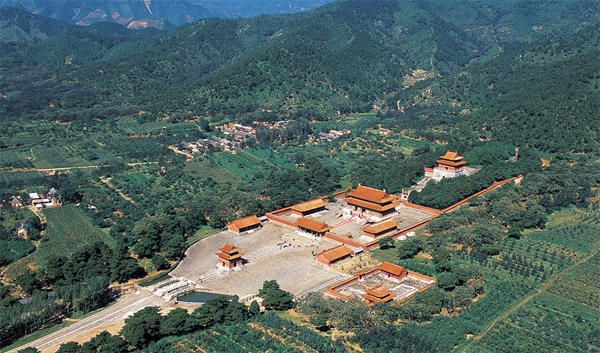 Construction of the Ming Tombs started in 1409 and ended in 1644, when the Ming Dynasty collapsed. It took 200 plus years to build the Ming Tombs from beginning to end. 13 imperial tombs, 7 concubines’ tombs are scattered in the valley. The Ming Dynasty was founded by Zhu Yuanzhang, who made Nanjing his capital, under the reign title of Hong Wu. 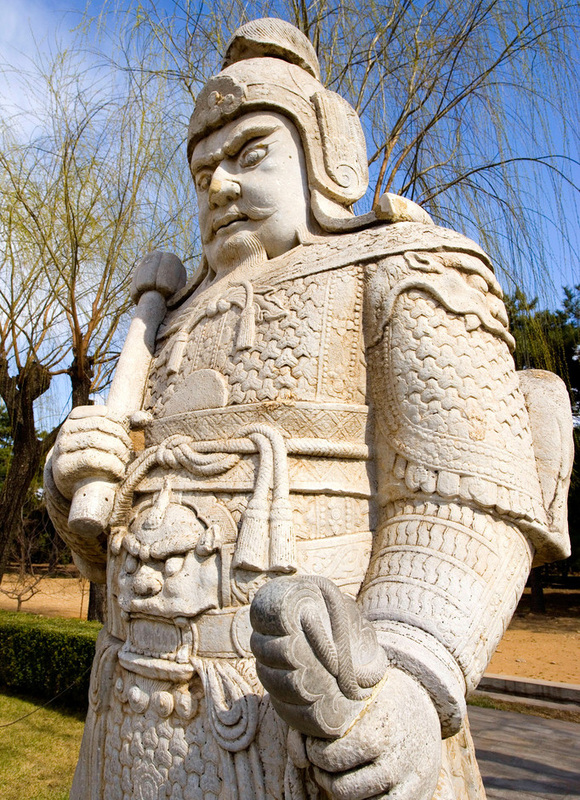 He was on the throne for thirty-one years and was buried in Xiaoling in Nanjing after his death. The second emperor was Zhu Yunwen, Zhu Yuanzhang’s grandson, whose reign title was Jian Wen during the four years he was on the throne. Zhu Yunwen’s uncle, Zhu Di, the Prince of Yan, who was in Beijing at that time, sent troops southward to seize the throne for him. After a war of several years, Zhu Di finally occupied the Ming capital of Nanjing and became emperor. As Zhu Di occupied Nanjing, the palace was ablaze and Emperor Jian Wen (Zhu Yunwen) disappeared without a trace. Some say he burned himself, others say he became a monk. After Emperor Cheng Zu (Zhu Di) ascended to the throne in Nanjing, he changed his reign title to Yong Le. Owing to the strategic, military importance the location of Beijing, Zhu Di decided to move the capital. In the 4th year of the Yong Le reign (1406), one million laborers were sent to begin building projects in Beijing. In the 5th year of the Yongle reign, Empress Xu died. Since Emperor Zhu Di did not plan to build a mausoleum in Nanjing, he sent Zhao Yu, a high official, Liao Junqing, a diviner, and other people north to choose auspicious sites for imperial burial grounds. The area chosen as an auspicious site for the imperial burial grounds was not only beautiful of scenery, but also in an excellent position from a military perspective as the mountains provided a natural defense for the area, as well as for the capital. 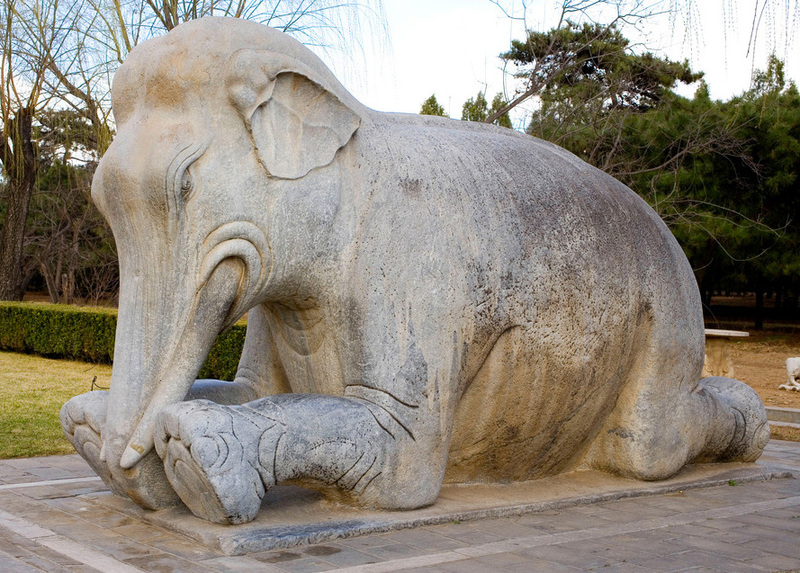 Changling, built by Emperor Zhu Di at the foot of TianshouMountain in the northern part of present Changping County, was the first imperial tomb in this area. Construction of Changling started in 1409 (the third year when Emperor Yongle issued an order to build BeijingImperial Palace). It is the largest and most magnificent as well as the best-preserved one. 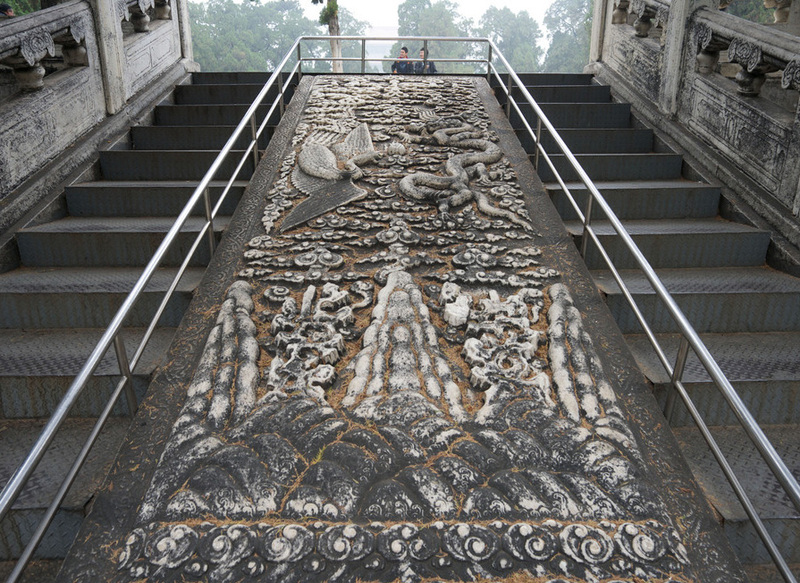 With a history of about 600 years, it has been in good condition and remains resplendent. Because the project was massive and complex, huge amounts of manpower, material resources and financial resources were invested to construct Changling Tomb. It took as long as four years to construct the underground palace alone. 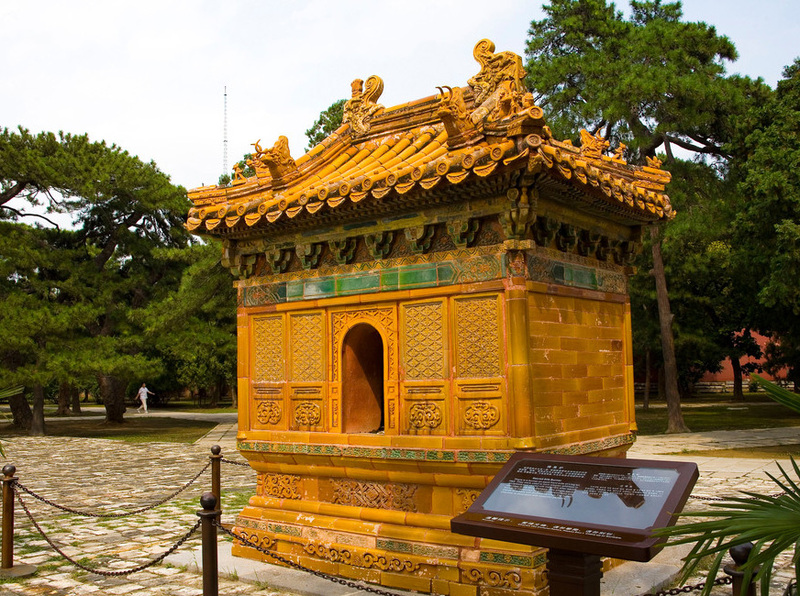 Ling'en Hall is the place where the heir emperors offered sacrifices to memorize Emperor Yongle. It is a double-eave structure with hip roof and the ground is paved with golden bricks. Sixty huge pillars and all wooden structural components are made of Jinsi Nanmu (a kind of rare and hard wood), which makes Ling'en Hall antique and unique. The bronze statue of Emperor Yongle, sitting in the throne carved with nine dragons, is extremely lifelike. 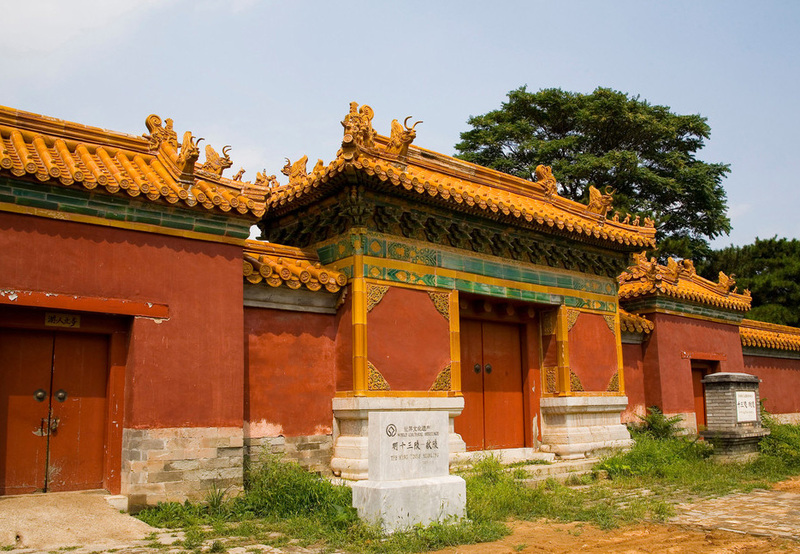 Located at the eastern foot of the Dayu Mountain, Dingling is the joint burial tomb of the 13th Ming emperor Zhu Yijun and his two empresses. Zhu Yijun(1563-1620), whose reign title was Wanli and posthumous title was Shenzong, ascended the throne at the age of 10 and ruled for 48 years until he died at the age of 58. It took six years to build Dingling, construction of which started in Nov. 1584 and ended in June 1590. Dingling covers an area of 180,000 square meters. The Underground Palace of Dingling is the only one of the Ming Tombs excavated so far. The trial excavation started in May 1956 and was finished one year later. With a total floor space of 1,195 square meters, theUnderground Palace is composed of five stone chambers: the front chamber, the middle chamber, the rear chamber and the left and right annex chambers. 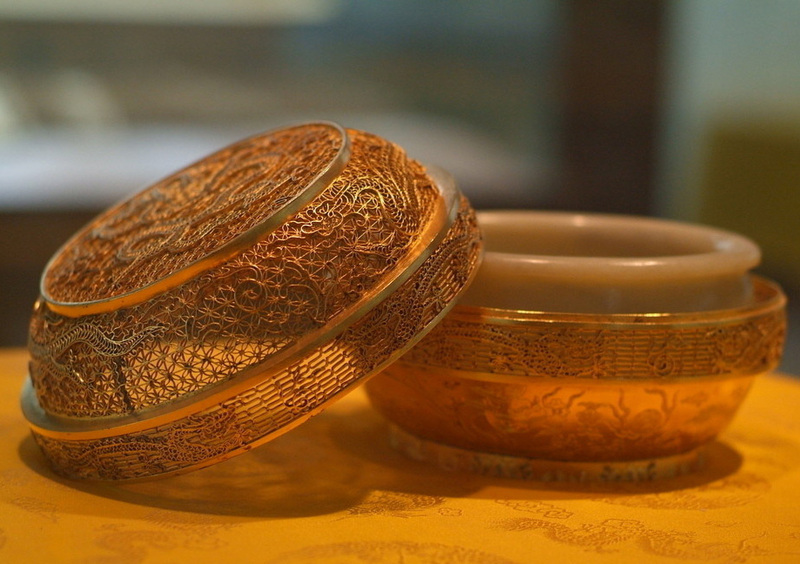 More than 3,000 pieces of cultural relics were unearthed from Dingling. In 1959 Dingling Museum was set up at the original site and was opened to the public. It's the sacred way of Changling as well. It's called the General Sacred Waybecause the sacred ways of all the tombs derived from here. Construction of the Sacred Way started from 1435 and more buildings were added in 1540. 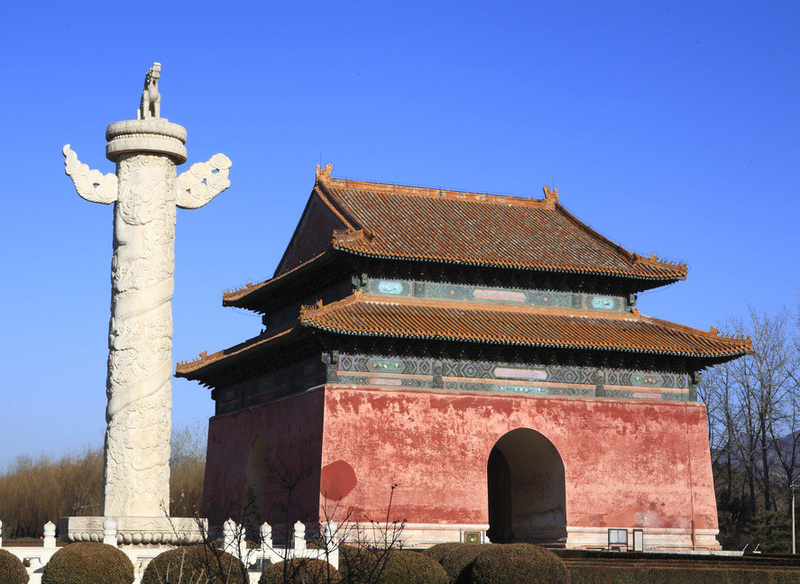 The Stone Memorial Arch, Great Red Gate (with Dismounting Steles at both sides),Stele Pavilion of Divine Merits and Sacred Virtues, Stone Statues and Animals, Dragon and Phoenix Gate, Five-Arch Bridge and Seven-Arch Bridgeline from the south to the north. 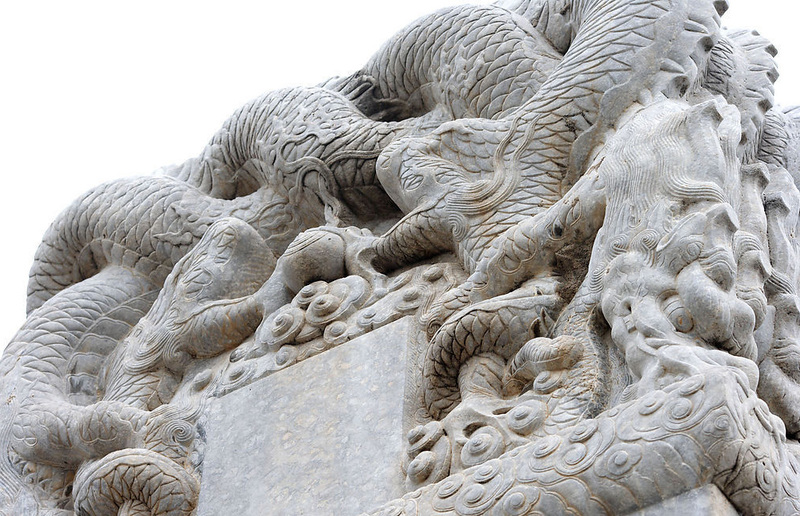 Among them, Stele Pavilion of Divine Merits and Sacred Virtues, the Stone Statues and Animals and Dragon and Phoenix Gates are the core architectures of the Sacred Way. The stone carvings, gravely modeled, accords with the solemn atmosphere of commemoration of the tombs and achieve a very high artistic level.